Yesterday, three friends and I met for lunch. The four of us have been friends for around ten years or so, and we’re all connected through racing. Allow me to introduce them to you. Phyllis is on the far left. She and her husband own a race car. Karen is in the pink. Her son drives the car that Phyllis and her husband own. 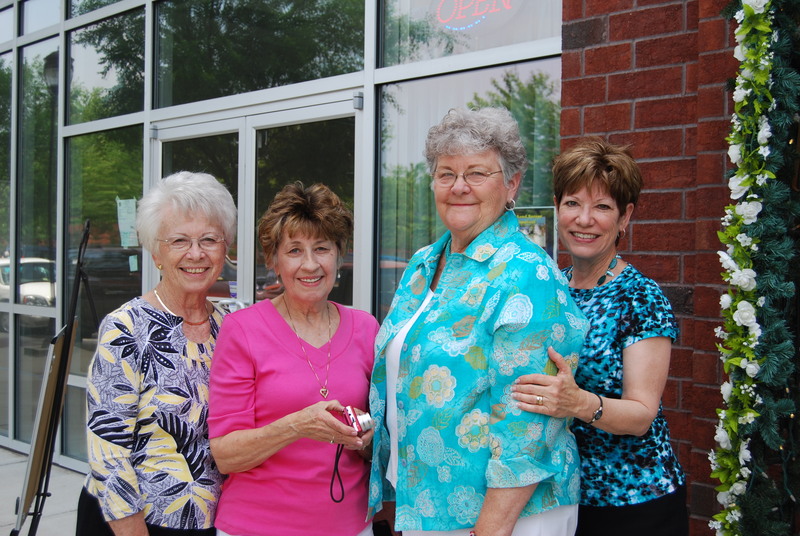 Doris is in the blue, and her husband is crew chief for the car that Phyllis owns and Karen’s son drives. That’s me on the far right, and at one point, when Karen’s son drove in a different division, my Motor Man built his engine. 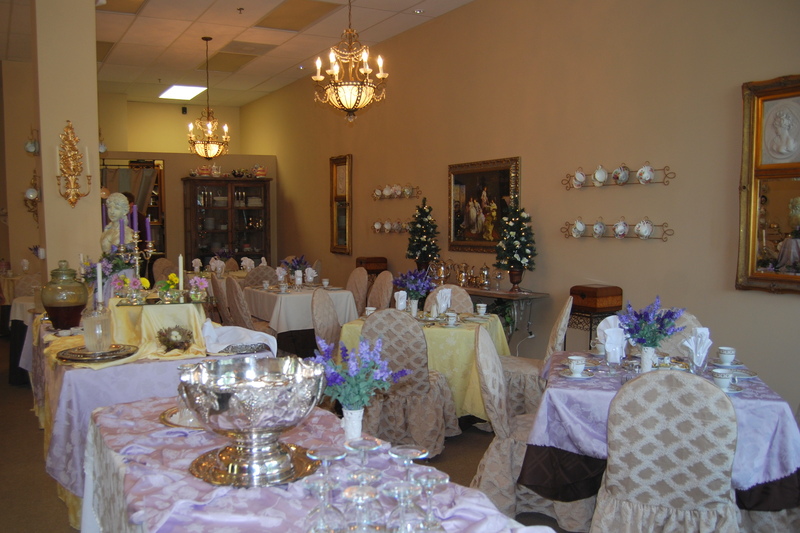 We had lunch at the First Lady Tea Room in the Port Warwick section of Newport News. 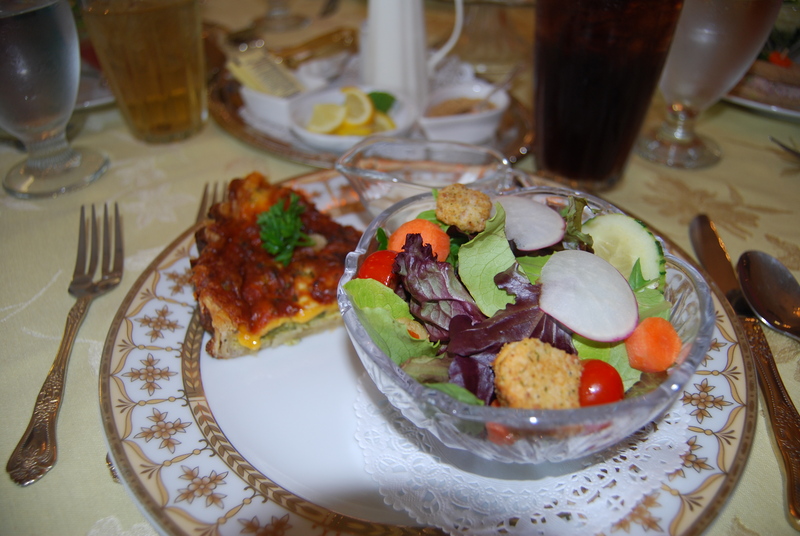 My choice for lunch was the quiche and mixed greens. Nice pree-sentation. 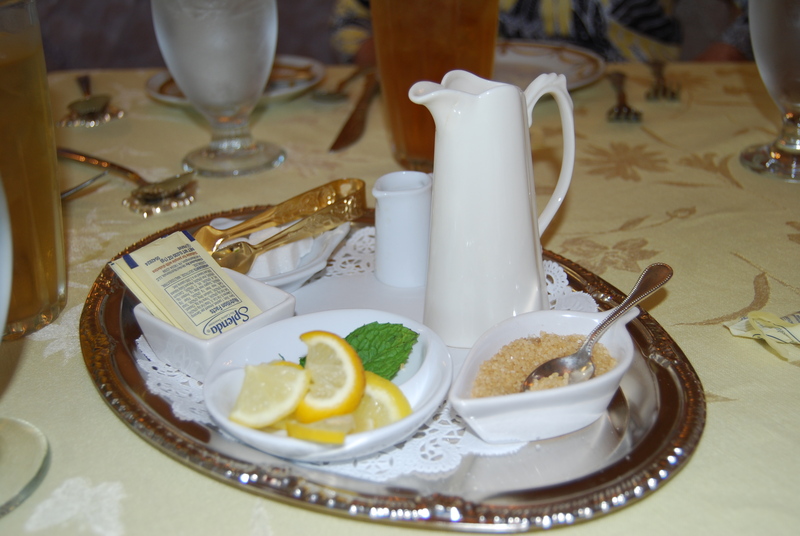 To sum up our lunch: the tea room was lovely, the food was delicious, the friendship is special, and now I’ve seen raw sugar.